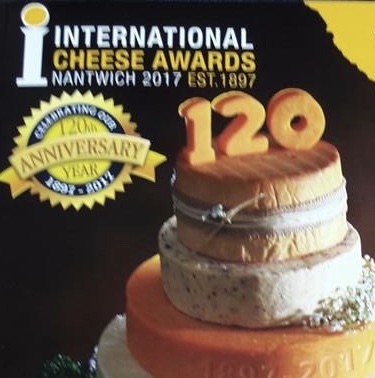 If you are a big fan of cheese, then there is no better place to be in July than the Nantwich show, home to the annual International Cheese Awards which attracts cheese makers from far and wide. The ‘big cheese marquee’ is a huge 80500 sq ft to enable it to hold the world record of 5000 entries of the best cheese and dairy products from 27 countries! A whopping 250 expert judges have the mammoth task of sampling all 5000 cheese entries. Now that’s a lot of cheese! (…I wonder if they suffer with nightmares the night after the show)! As well as all the competition entries, there are trade stands selling their finest wares throughout the day and offering tasty samples. I absolutely love cheese, so was in heaven to be surrounded by hundreds and hundreds of scrumptious cheese samples. From super strong and stinky cheeses to mild and delicate soft cheeses, there is something for everyone’s palate. One of my favourites is the Red Fox Cheese made by Belton Farms, which has an intense sweet and savoury nutty flavour, and has a slight ‘crunch’ which the cheese develops through maturation. I even tried a chocolate and blue cheese truffle! Now, I love chocolate and I love blue cheese but I’m not sure this flavour combination will catch on! Agricultural shows are a highlight of the farming year as they involve a rare day off and a fantastic opportunity to catch up with friends old and new. Many of the local trade stands offer generous hospitality to all those that have dealt with them throughout the year. This year, Bowl & Whisk were delighted to supply our handmade artisan brownies and blondies on the Independent Feeds trade stand for their customers to enjoy along with a chat and welcome drink. Agricultural shows like Nantwich celebrate all that is great about farming, local food and rural business, and we can’t wait for next year!